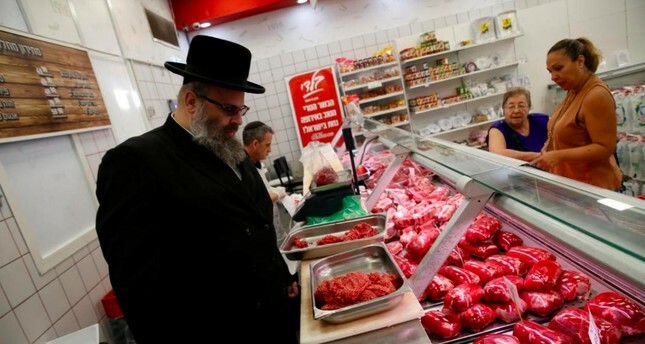 The proposed ban on halal and kosher meats have come into effect in Belgium’s northern Flanders region, stirring controversy among the country’s Jewish and Muslim communities. The parliament in the Flemish region had unanimously voted in June 2017 to ban kosher and halal meats by outlawing the slaughter of animals without stunning, which was set to become effective beginning with Jan. 1 2019, following a similar ruling in Wallonia region in May 2017 that will go into effect in August 2019. According to Islamic halal and Jewish kosher rituals, the animals are required to be butchered by slitting their throats without stunning them before killing. The non-Christian communities see the ruling as a threat against religions as well as a risk for their lives. “To have the government interfere in this way is damaging to the reputation of the Jewish people as a community. It implies that we as a group are irresponsible with the welfare of animals and need government supervision which is, of course, a very negative view of us,” he told the JC. Conference of European Rabbis Chairman Pinchas Goldschmidt referred to the day decision made as “a sad day for the Jews of Europe, a sad day for religious freedom in Europe,” in a tweet. The decision of the parliament will be initially implemented for small cattle and although it will not be implemented for bovines due to the lack of technical infrastructure, it will be mandatory to numb the cattle immediately after slaughter. Cows and other cattle will also be shocked before being slaughtered after the Flemish region overcomes technical issues regarding the matter. Starting in 2017, the debate on the ban of animal slaughter according to Islamic and Jewish methods has increased, while the prohibitions imposed to country’s Muslim and Jewish communities continue to receive reaction. The issue of banning the halal and kosher slaughter has also been raised in Austria, Poland, Holland and Switzerland in 2018. To ban kosher and halal meat with the excuse of ‘kindness to animals’ is simply hypocritical. Call it anti-Semitic and Islamophobic and be honest.